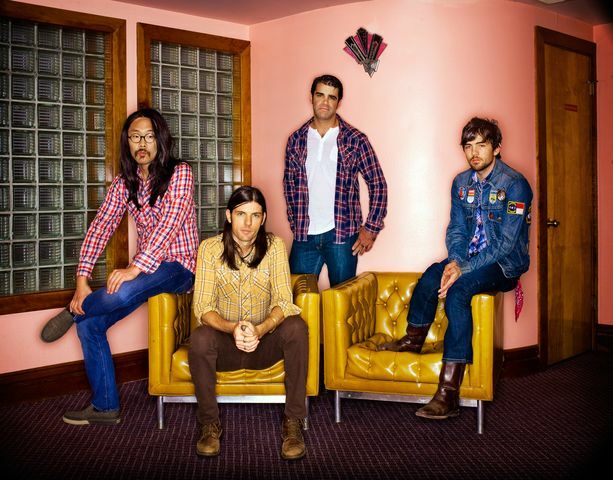 Concord's homegrown folk rock band, The Avett Brothers, are playing a sold-out concert on July 9 at Red Rocks Amphitheatre in Morrison, Colorado. And when they do, fans in Concord, Charlotte, and surrounding areas will be able to watch it live, simply by going to Charlotte Motor Speedway. 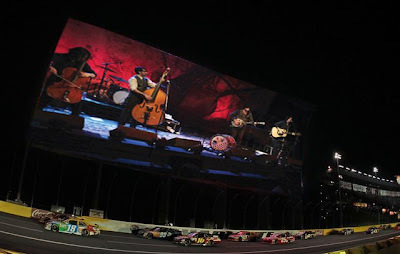 The speedway will air a live simulcast of The Avett Brothers' July 9 concert on its high-definition television screen. At 200-feet wide and 80-feet tall, it's the largest HDTV in the world, and it debuted last month during the May NASCAR races. The speedway will bring in concert-grade speakers for the event. The massive HD screen is adding new life and entertainment options to Charlotte Motor Speedway. During the races and pre-race activities last month, music videos and tribute videos were shown on the big screen, and fans camping in the infield were treated to screenings of History Channel shows such as Top Gear and Ice Road Truckers and NASCAR-themed movies Talladega Nights and Stroker Ace. If the simulcast of The Avett Brothers' concert is a success, this could mark the beginning of similar showings for concerts or movies. Imagine how cool it would be if movie screenings of new releases are shown, like for Cars 2, or for a special premiere of Transformers 3. It would be like a drive-in on steroids. The Avett Brothers are touring all summer, but are also recording their next album, the follow-up to their major label debut, I and Love and You, released in 2009. The band also released a live album last year, Live, Volume 3, which was recorded during a concert at Bojangles' Coliseum. They were exposed to a wider audience when they performed earlier this year at the Grammy Awards alongside Bob Dylan and Mumford & Sons. In a recent interview with Billboard.com, legendary producer Rick Rubin, who's working with The Avett Brothers again, gave a brief update on their upcoming album, which he says "is coming out beautifully." For the July 9 concert simulcast, the speedway's gates will open at 8 p.m. Grace Potter and the Nocturnals are scheduled to begin at 9:30 p.m., and The Avett Brothers will perform around 11 p.m. Tickets are on sale now for $10 until July 1, when they'll increase to $15 until July 8; tickets purchased the day of will cost $20. Call 1-800-455-FANS (3267) to buy tickets or go to to the speedway ticket office. Visit www.charlottemotorspeedway.com for more details.